This book is about the forgotten art and science of healing: retrieved and reaped in easy steps. Equally, it is an attempt at interpreting the ancient Upanishadic wisdom through the author's insight: showing the essential oneness of spirituality with the mind-body matrix. Layers of wisdom unravel as the author unfolds the science of Yoga: dispelling myths while reinforcing the Truth. Touching upon subjects of contemporary interest - Cosmic Energy, Reiki, Karma, Kundalini, Yoga, Health etc - the book has a universal appeal. Of particular interest to the scientifically-inclined is the author's juxtaposing of scriptural wisdom of the East with the West's path-breaking findings in Quantum Physics, Probabilistic nature of the Universe, Psychoneuroimmunology and Parapsychology. That the author throws light on these esoteric matters through the prism of his spiritual experiences, lends the whole narrative a kind of authenticity not common in books of this genre. 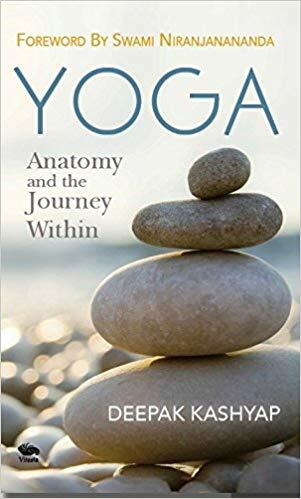 The highlight of the book is its ability to touch the yoga-inclined masses in their daily life and facilitate their 'three-dimensional' healing through easy-to-make forays in diet control, asana-pranayama, alternative therapy, meditation and karmic remedies. Deepak Kashyap is a spiritualist, motivational speaker, reiki master and yoga researcher, besides being a senior civil servant. An initiated disciple of Paramahansa Devraha Hans Baba, he has been blessed with many inner experiences by his Siddha Guru.